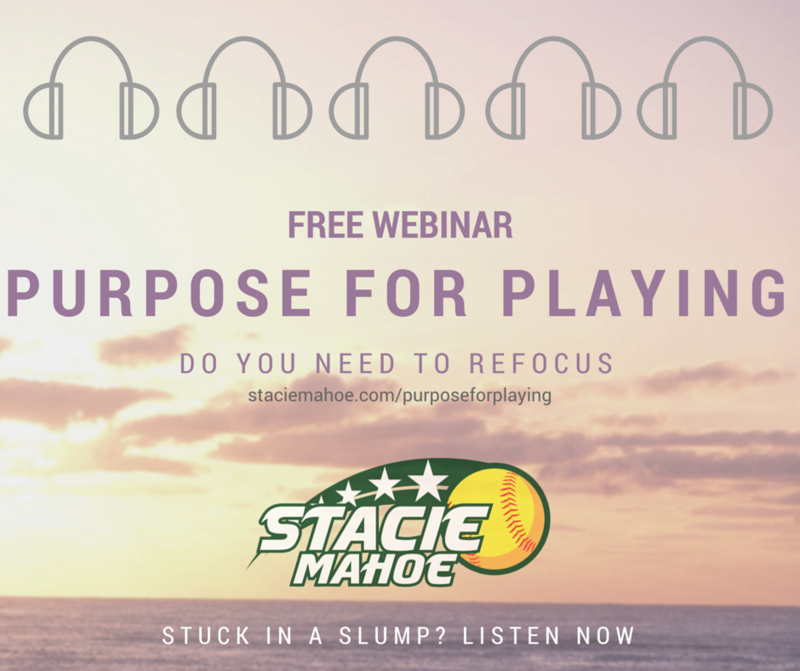 Purpose for playing: do you need to refocus? A recurring thought kept coming up over and over and over again over the weekend. One in which players are feeling stuck or in a slump. How do they get past that? This audio contains some thoughts that can help. ALSO, this audio is a self check for parents (and maybe for coaches too). Yes, our children can learn life lessons from sports. But are they learning lessons we WANT them to learn? Or are we inadvertently communicating messages we don’t really want them taking in? This audio also provides YOU (parents and coaches) with something to think about. Always, always, always remember to keep the BIGGER picture in mind. Not just for the season or for their “education” or for their softball career, but the bigger picture that involves life BEYOND that. Is your child playing, or doing what they do, because they love it? Or because they’re trying to meet the expectation(s) of someone else? What can you do to help them refocus? What can you do to keep the game about enjoying an activity they love? Do YOU need to shift your expectations/thoughts about the game/your child’s sports experience? Clarification: in this webinar, when I talk about posting and not caring what other people think, I was speaking about MY own personal experience in this business (what I do on this website, on my Facebook Fan Page, and on other social media sites) and in the context of pleasing other people or trying to please everyone. That portion of the webinar was NOT license for anyone to intentionally post hurtful things about others and use my message here as “permission” to do so. That does not fall in line with being your best (also mentioned in the webinar).